Congress leader P Chidambaram said on Wednesday that "belated wisdom" had dawned upon the Centre, a day after Prime Minister Narendra Modi indicated that 99-per cent items would be brought under the GST slab of 18 per cent. 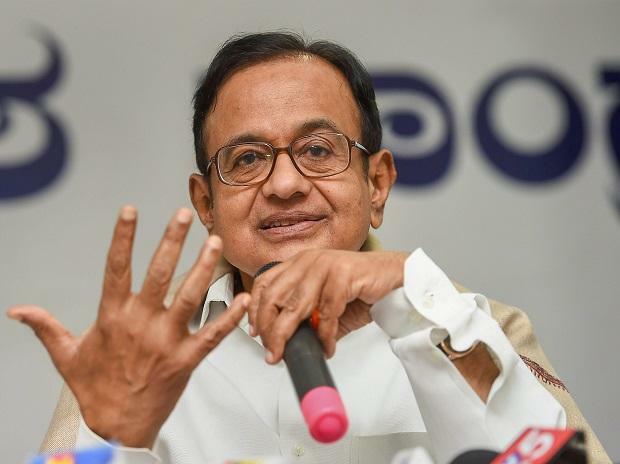 Chidambaram alleged that it was typical of the National Democratic Alliance (NDA) to unscramble the egg after having "scrambled" the Goods and Services Tax. "Government says 99% of goods will be at 18 per cent GST. Belated wisdom. We should have started with 18 per cent as the standard rate. Having scrambled the egg needlessly when GST was introduced, Government is trying to unscramble it! Typical of NDA," Chidambaram posted on Twitter. "BJP/NDA governance mantra is 'Leap before you look'. Which is the reason for the damage caused by GST to businesses, especially MSMEs," he added. Government says 99% of goods will be at 18 per cent GST. Belated wisdom. We should have started with 18 per cent as the standard rate. Having scrambled the egg needlessly when GST was introduced, Government is trying to unscramble it! Typical of NDA. BJP/NDA governance mantra is 'Leap before you look'. Which is the reason for the damage caused by GST to businesses, especially MSMEs. Modi had on Tuesday indicated that further simplification of the GST was on the anvil and said his government wanted to ensure that 99-per cent items attract sub-18-per cent GST slab.